Electric vehicles will replace the internal combustion engine. It will be momentous if not quite the game changer of the horseless carriage. And it will be lamentable. The change is inevitable because, climate change or no, petrol will become too expensive. This is what happens to popular but finite resources. Eventually the supply cannot meet demand and prices rise. The same is true of biofuels currently grown to supplement to petrol. Compared to fossil fuel they may be carbon friendly but they take up valuable agricultural production that we will eventually need to feed a growing population. The change will also be rapid as history tells us to expect rapid change. In 1908 the Ford Motor Company created the Model T. It was the first mass produced automobile and in less than a generation 15 million were sold. Back in 1908 there were next to no paved roads. All those Model Ts had to move through the dirt, mud and stones. No-one could imagine that 100 years later there would be multi-lane freeways with vehicles travelling at 70 mph or that in these cars there would be cruise control, air conditioning and i-pod connectivity. In 2108 there may be no paved roads. Vehicles may hover or run on synthetic strips with self-navigation systems built in or even in 3-D laneways like cities in the Star Wars movies. It will be 50 years beyond the current climate change predictions (most go to 2050) and global warming will either have cooked us or we will have adapted to whatever climate changes happen. What we can be sure of is that there will be no petrol engines, except at antique shows. Electric vehicles will be the logical transition to the transport systems of the future. The current batch of electric-petrol hybrids are the vanguard. They will be replaced by electric only vehicles running on batteries or fuel cells. 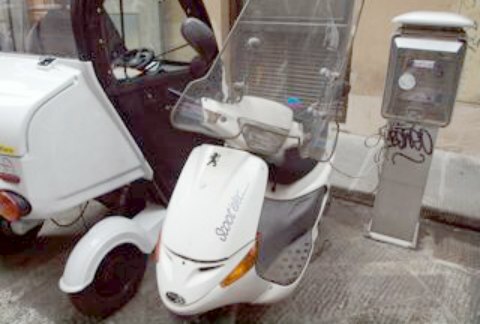 Even today the centre of Florence, Italy restricts access to petrol vehicles. Running around the narrow streets are vehicles running on electricity. The major car manufacturers know this future. They have been getting ready for it. Along with the oil producers these multi-national corporations will, however, manage the transition to their benefit. If climate change legislation prods them a little we could speed up the process and avoid significant emissions. Either way when our grandchildren reach 50, they will not be driving petrol vehicles.